BOGO deals are a fantastic way to connect with new customers and reach a broader audience because who doesn't love a good sale? In fact, 93% of shoppers have taken advantage of buy one, get one free sale, so it's safe to say almost everyone loves a buy one get one free sale. But as a network marketer, you don't always get a heads up as to when these sales are occurring and don't get any time to have a campaign in order for your BOGO deal. But you can change that. 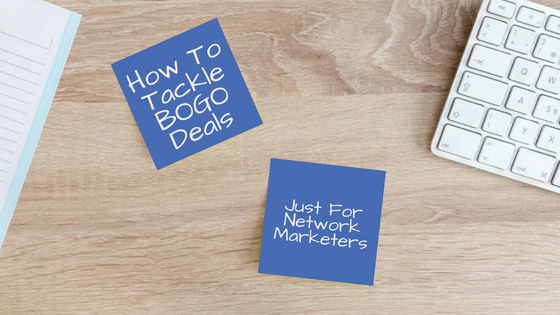 Whether you have just a few products or you have a huge number that are included in BOGO deals for your network marketing business, you can have a plan in place to can take full advantage of any BOGO deal that's offered. The first step to planning a successful buy one, get one free sale, is to narrow down and select your target audience (or avatar). Having a niche market can help you decide where and how to advertise. If your audience is only on Facebook but you're sharing the offer on Instagram, then you're not going to reach your audience with your BOGO deal. This is one area you can really have to narrow down before a BOGO deal occurs. By promoting your own campaigns (non-BOGO deals) across various social platforms, on your website, through emails and whatever method you may want to use, you can figure out the most effective method for promoting BOGO deals to your audience when they are surprised upon you. The next way you should prepare is by having questions that will inevitably come up with new customers already answered. These questions may be about the best way to use certain products, the benefits of certain products, why people should go with your products over another companies products, the value versus cost of the product, etc. These questions aren't specific to your BOGO deals, but specific to your business. By having these questions written and answered (preferably in a document that only you can see), you're not only making the BOGO process easier, you're making yourself more intimately familiar with the products you are sharing with people -- win-win! I'll concede that up until this point I really haven't shared anything new, but now we're getting into the good stuff. Let's build a plan that you can use no matter the BOGO deal and no matter the time of year. I have to warn you though, this plan will take a lot of work but it will also be 100% effective. The plan we're building together will have you prepared for almost any BOGO deal that may come your way and will give you a wealth of material to use outside of BOGO deals as well (another win-win!). What you're going to do in this plan is prepare for any instance, this is something the Public Relations (PR) world likes to do because they have to react to anything that is thrown their way, so they try and plan as much as possible for any scenario. We're going to do the same thing. All of those questions you've already answered about every single product you sell, we're going to use that information to create social posts, prepare a newsletter, organize a website pop-up, and write a blog article template. You know how everyone shares that typical Buy-1-Get-1 free image that your company posts as soon as the BOGO is announced for that day? How can your social post stand out when it looks exactly like everyone elses? Well, it can't! So you are going to prepare a social image and a caption for every single product you have that has no relation to a BOGO deal. Instead of sharing the BOGO image the company shares with you, you will share an image of one of the items in the deal actually being used. Let's use doTERRA and Hayley Hobson as an example. 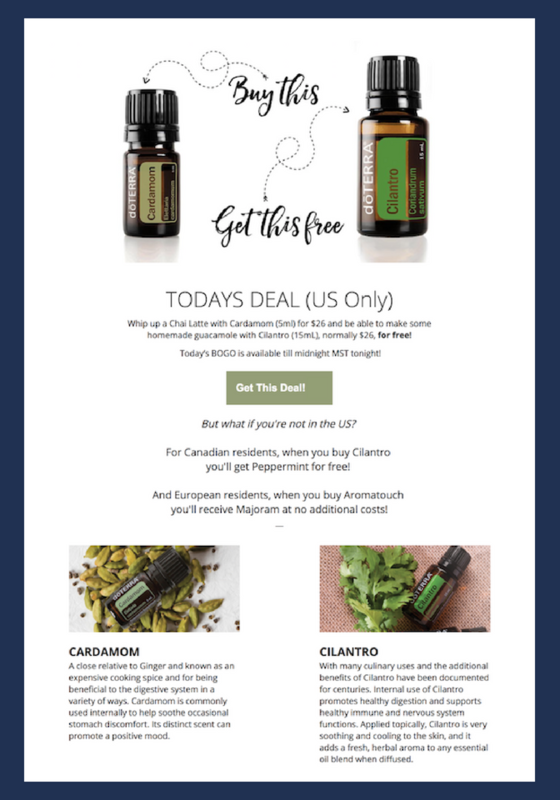 doTERRA shares a generic buy one get one free post. It promotes the BOGO and that's great, but it doesn't tell a story and grab someone new to engage. Alternatively, Hayley Hobson shares an oil blend and story as to why she uses it and how, helping her audience not only find out about an oil but a new blend and how to use it. Hayley Hobson's Instagram post is not promoting a BOGO, but it could be, and it would stand out more than anyone else sharing the same BOGO because it's not just the same old picture and basic information, it's a story and an actual use case. 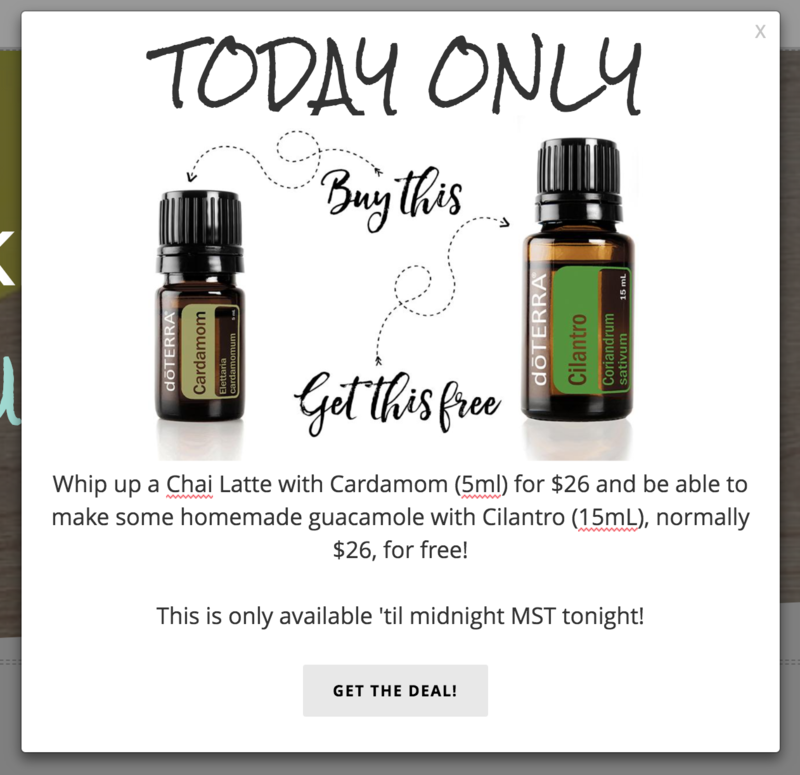 Even though her post only covers one of the oils mentioned in the BOGO, it validates that one oil's worth to a potential buyer and interests them beyond just a "deal." Prepare social media posts like Hayley Hobson's for every single product you have. Have a story and use-case around each product as a sort of review available for potential buyers to relate to. Email is a fantastic way to connect with your audience. Yes, less and less people are reading their emails, but the value is still there for the people who do read emails. You'll want to build a BOGO template that highlights the deal, where they can go to purchase it, and then shares more information about the two products involved. Every time you have a BOGO deal you can just copy the email template and input the information for the new deal. Much of the information included in the email you already have, so putting together the email shouldn't take more than 15 minutes, meaning you can get the BOGO deal out faster than everyone else! You're sharing the deal on social media, you're sending out an email, but you also need to make the BOGO easy to discover when someone comes to your website. Add a pop-up to your home page that includes the picture of the deal, details of the deal and a link to purchase (so basically everything at the beginning of your email, easy peasy!). When the BOGO is over, just make sure to remove the pop-up so you aren't promoting an old deal! If you want to get even more exposure for your BOGO then write up a blog article going into more depth about the products in the offer and share it with your blog subscribers and on your social profiles. This is a bonus item because not everyone has a blog and, for this to be an effective use of your time, you need to have a regular posting schedule so sharing a BOGO deal wouldn't be an out-of-the-ordinary post. Just like you can create a template for your newsletter, you can do the same thing for BOGO deals. Have a set featured image (the image people will see when you share the article on social media and if they come to your blog) and a set outline for the article. I recommend switching up this template to mimic something more like your social media posts - keep it about the story and the usefulness and less about the BOGO deal. The BOGO is the cherry on top of the article, like, "I told you about how amazing this was in my life and now you can experience the same, at a discount!" At the end of the article have it set-up to not only showcase the deal, but when it ends, and how they can obtain it. If you've planned everything above, now it's time to put it into action when you receive your next BOGO promotion - but what does that look like? Let's break it down. As soon as you receive the BOGO ( or as soon as you can), copy your newsletter template and input the BOGO deal information and your personal story about each product offered. Send out the email to interested contacts. With your newsletter content all set, now is the time to add a pop-up to your website homepage (or all the pages on your website, I'll leave this up to your discretion). Next, grab the images and caption you've put together for your social posts about the products (two social posts in total) and add into the caption the specific BOGO details. Once you have those ready, schedule those posts if you use a social media scheduler or set a reminder on your phone of when to post them. I would recommend posting one in the morning and one in the afternoon. BONUS: If you are including blog articles in your BOGO strategy, you'll want to write and post this article at this time as well. Make sure you send out an email to your subscribers a little later in the day about the article as well as post on social media. You don't want to inundate your audience all at one time with information, so spread your BOGO promotions throughout the day. You are now fully prepared to tackle any and all BOGO's that get thrown your way as a network marketer. Let us know how preparing for your next BOGO is and if you have any specific use case questions in our private Facebook Group!